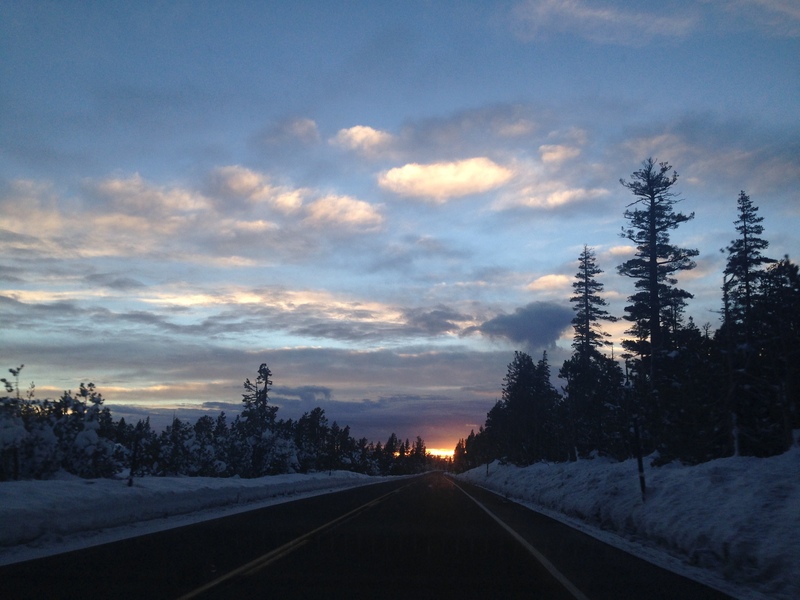 Driving from Mammoth to San Francisco chasing the sunset! So, my first Winter Break road trip consisted of a six-day trip where I traveled to Mammoth Lakes California for three days, then to San Francisco/ Half Moon Bay area for two days. Finishing it off with our last night in the middle of nowhere in a small motel off of PCH in a town called San Simeon. My experience in Mammoth was an interesting one. I knew in advance we were staying at my boyfriends friends house who lives with four other college boys. As you know college boys can be very messy but I didn’t expect for it to be this repulsively mortifying. There were piles of dirty dishes with food encrusted on them that had been there for weeks (years even). An overflowing trashcan that reeked of left overs and other rotten items. The bathroom was a breading ground for flesh eating viruses. It was literally disgusting and on top of that we were sleeping on the floor of their living room. Basically a beer soaked rug with burn marks that was dirt encrusted. Luckily, we came prepared with a little tent that slept two, so we set that up in the middle of their living room! Another thing I forgot to mention is that they didn’t like to use their house heater, so we were sleeping in 30 degree below weather all three nights. But hey it was a free place to stay so what the hell. Besides the living conditions I had a blast we snowboarded all day at June Mountain getting “fresh tracks”. If you ever have the chance to go snowboarding or skiing in Mammoth I would go to June Mountain because it has cheaper lift tickets and less crowds! When we weren’t snowboarding we were off-roading in our friends Jeep which was literally INSANE. I honestly thought I was going to die every time he took a turn because he was going roughly 15-40 mph on narrow snowy/icy dirt roads. Then from Mammoth we took an five hour drive to San Francisco/ Half Moon Bay area and stayed for two days exploring all of San Frans wonders. The drive to San Francisco was frightening when we came across multiple different variations of weather. First we drove into a crazy snowstorm with slick roads (my boyfriends car doesn’t have four wheel drive so you can imagine). The next type of weather we hit was huge chunks of hail that came down like giant bouncy balls. The day after we arrived some friends took us touring around San Francisco where we encountered the gnarliest rain I have ever seen in my entire life. The freeways were actually flooding, of course on the one day we come to visit. 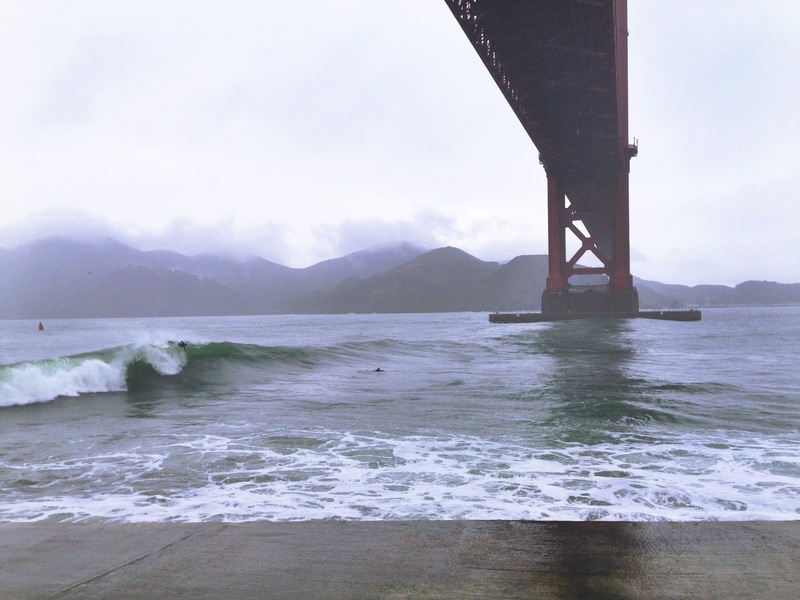 The weather didn’t stop us, we still explored all of SF including the super awesome surf spot underneath the Golden Gate Bridge called Fort Point. 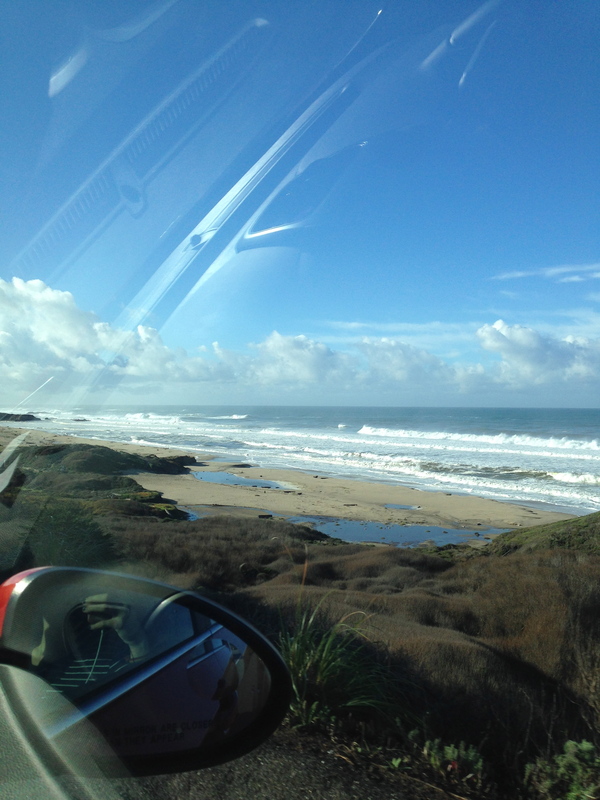 The waves were breaking in-between 6-10 foot and it was so incredible to see guys out there surfing. Then we saw the famous haight street which had such cool and trendy shops. 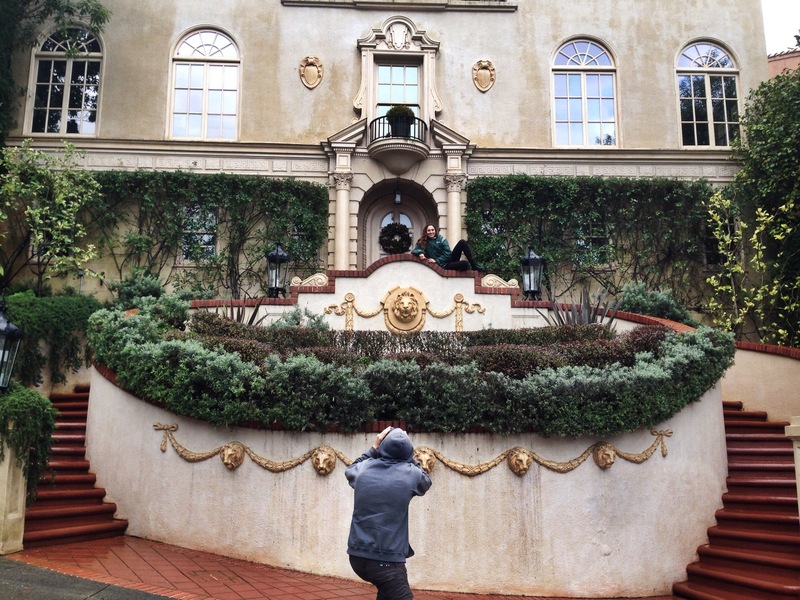 Obviously we had to make a pit stop to where Princess Diaries was filmed and visit the outside of her school because that is the best movie every made. Then we made our way to fisherman’s warf where I had the best clam chowder I’ve ever had and played in the super old arcade on the pier. It was an incredible experience to tour around San Francisco it is such an incredible and beautiful city. Then drove along PCH, stopping in San Simeon a small town along the coast near San Louis Obispo to see the giant and majestic elephant seals. We stayed in a weird little motel, we were originally going to camp but then a crazy rain storm was coming and I wasn’t really into the whole getting wet in my sleep concept. So the next when we woke up to get back on the road towards home we stopped to see elephant seals. These seals are basically the size of my SUV and we got up close and personal with the gigantic creatures. If you ever have a chance to stand next to a 20 foot animal weighting roughly 4 tons I’d do it! They were so freakin cool! 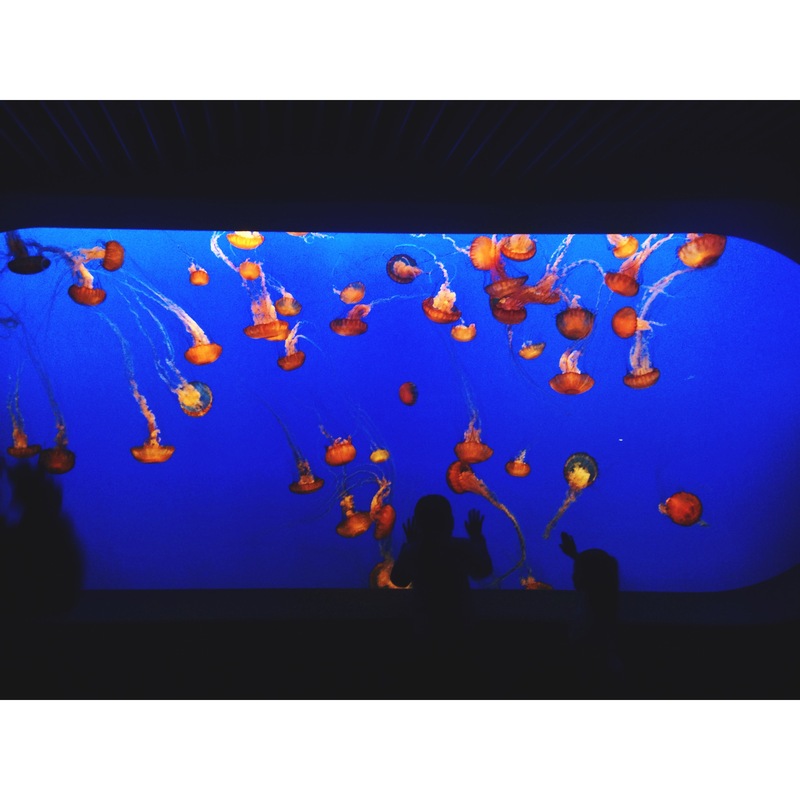 Lastly, we stopped at the Monterey Bay aquarium because it is a must see, their jellyfish exhibit may have been the coolest thing I have ever seen (besides the elephant seals)! This was a road trip of a lifetime. If you ever have the time I suggest a PCH road trip because it was an incredible experience and you get to see so many cool and different things! Check out some of my pictures below! Chilling with some elephant seals… a little to close for comfort.